Want to Build Muscle and Strength? Go Nuts! While it is general knowledge that nuts are a good source of protein, you may not be aware that bodybuilders rely on nuts, off-season as well as when they’re preparing for a meet. For pros and amateurs alike, the muscle building secret relies on nuts that carry specific benefits. You’ll see future posts that focus on other types of nuts and their benefits but today’s spotlight is on an exceptionally super nut: the Brazil nut. Let’s argue about whether they’re actually a nut or a seed. 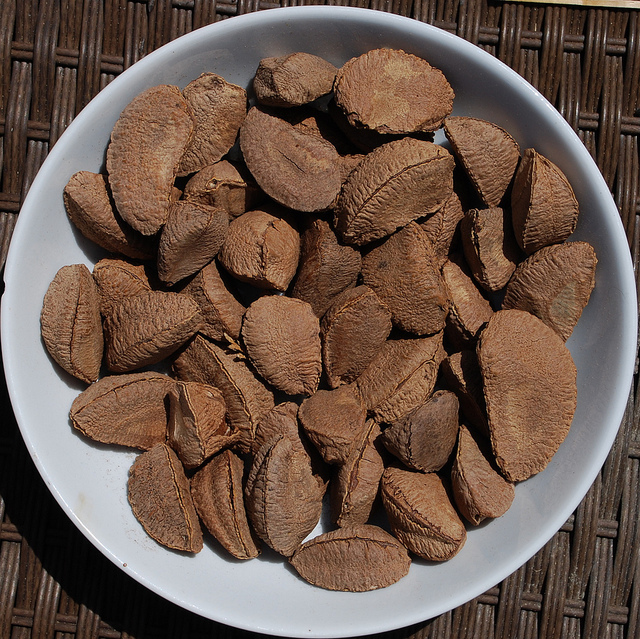 Instead, let’s talk about the ways Brazil nuts are awesome. 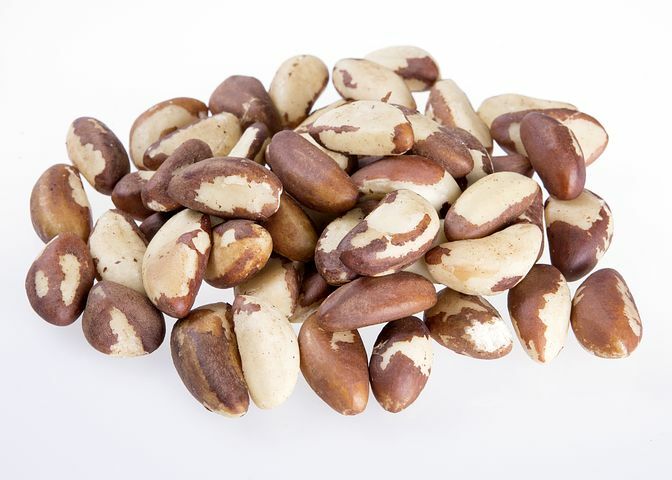 Although Brazil nuts are one of the best protein sources for muscle growth, they have basic health benefits for everyone, whether or not they’re trying to build muscle. We’ll focus on some very specific nutritional elements of Brazil nuts in just a moment, but their overall nutritional components work together to help protect against heart disease, some types of cancers and can help alleviate anxiety and the symptoms of asthma, AIDS, and skin disorders, according to The Daily Meal. Nuts.com reveals that Brazil nuts are rich in magnesium, too, which promotes the absorption of calcium to keep teeth and bones healthy and strong. Considering bodybuilders spend small fortunes on supplements for muscle growth to get these amino acids, it’s easy to see why the Brazil nut is a valuable muscle building secret. Although many nuts are relatively low in methionine, Brazil nuts happen to be particularly high in that essential amino acid. Methionine and arginine make up two-thirds of the bodybuilding staple creatine. Additionally, arginine is a key ingredient in the majority of nitric oxide supplements and increases growth hormone levels, according to Muscle & Strength. What About Fat and Calories? 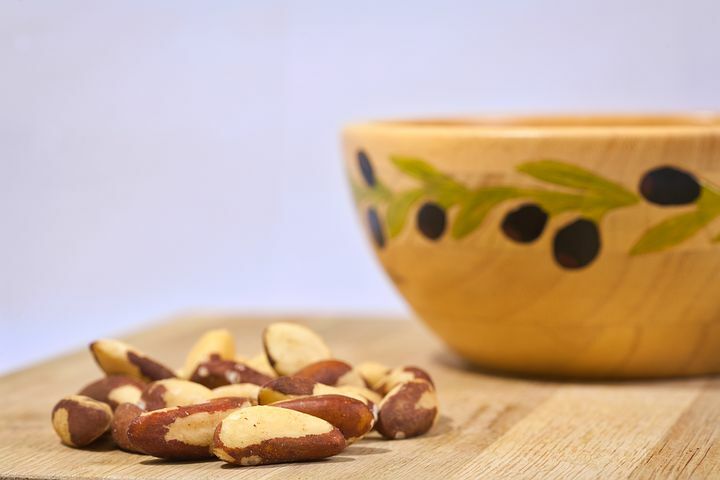 Nutrition and You claims that Brazil nuts are high in calories, but if you consider that one ounce (about six to eight nuts, according to Cleveland Clinic) equals one serving, that serving carries less than 190 calories. Not too shabby for a quick snack that provides energy and protein and will help curb your hunger if you’re dieting. So here’s the rub: most of those calories are derived from fats. HOWEVER, keep in mind that Brazil nuts happen to be high in monounsaturated fats, the “good” fats. You know, they’re the ones that help lower LDL (“bad”) cholesterol and help increase HDL (“good”) cholesterol. The key, as with any food, is keeping control of the calories. Shape reminds readers that your snack of Brazil nuts should be included in your daily calorie count instead of in addition to it. What’s more, restricting carbs in your diet means you can be a little more lax with fat intake, especially if it’s a “good” fat. No need to binge on Brazils. An ounce or less a day is more than enough to benefit you. 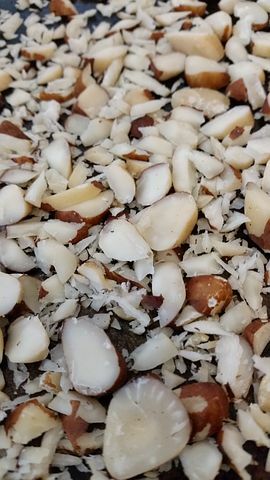 Brazil nuts are especially high in selenium, another bonus for all athletes, especially anyone who is building muscle or dieting. Bodybuilding.com points out that athletes and dieters run a risk of nutritional deficiency. Selenium promotes glucose absorption, so it’s essential for diabetics. Additionally, selenium is vital for thyroid health, and you know how important a functioning thyroid is for metabolism, energy, cardiovascular health, and weight control. Remember that those issues will only arise if you eat too many Brazil nuts. Stick to one serving or less each day, and you’ll garner all the benefits without the risk. This entry was posted in Uncategorized on March 2, 2018 by Lisa.